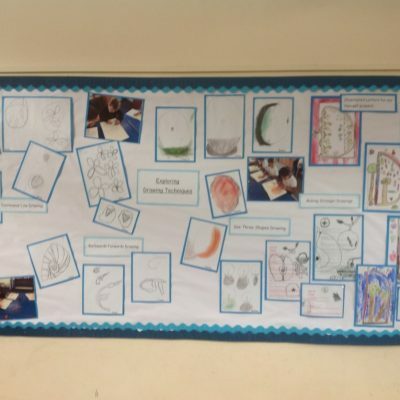 Leaves, feathers, dinosaurs, fruit and vegetables are some of the objects children have been drawing this week in school. 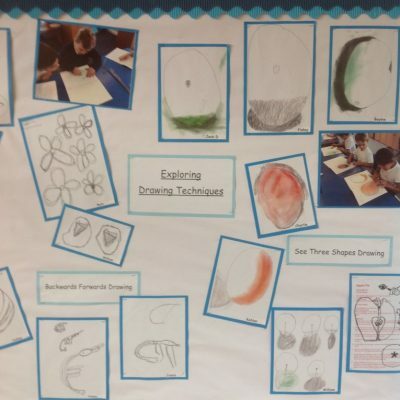 Each child has been given their own set of paints and drawing pencils to use in their art lessons and have already shown how responsible they are in looking after their equipment. 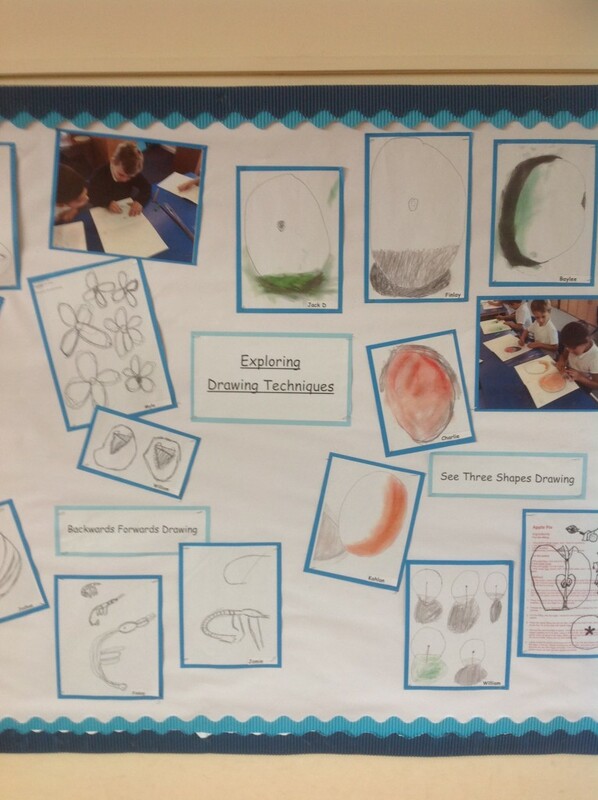 Each day this week new drawing techniques have been explored as the whole school has participated in ‘Ten Minutes Drawing a Day’ developing children’s skills in drawing and creative confidence. 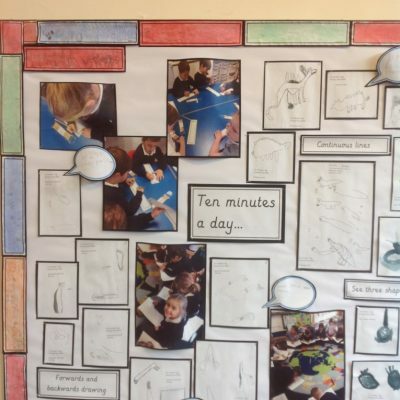 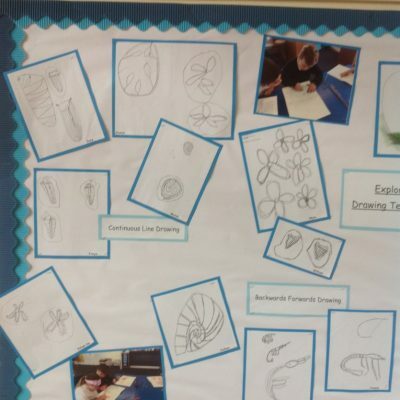 Drawing also improves children’s dexterity, concentration by looking carefully and improves a sense of well being, in fact all the teachers have commented on the purposeful atmosphere in the classroom when working on these tasks. 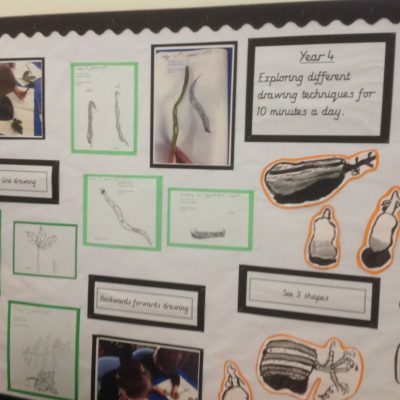 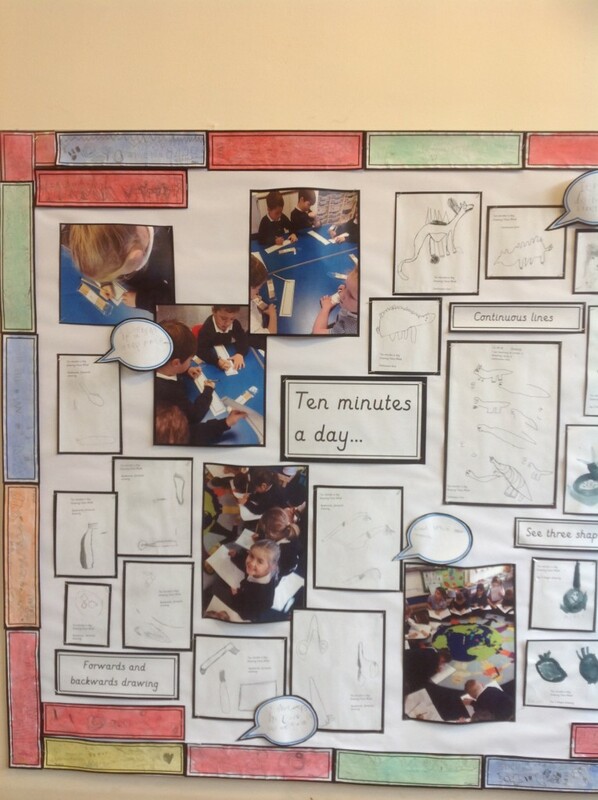 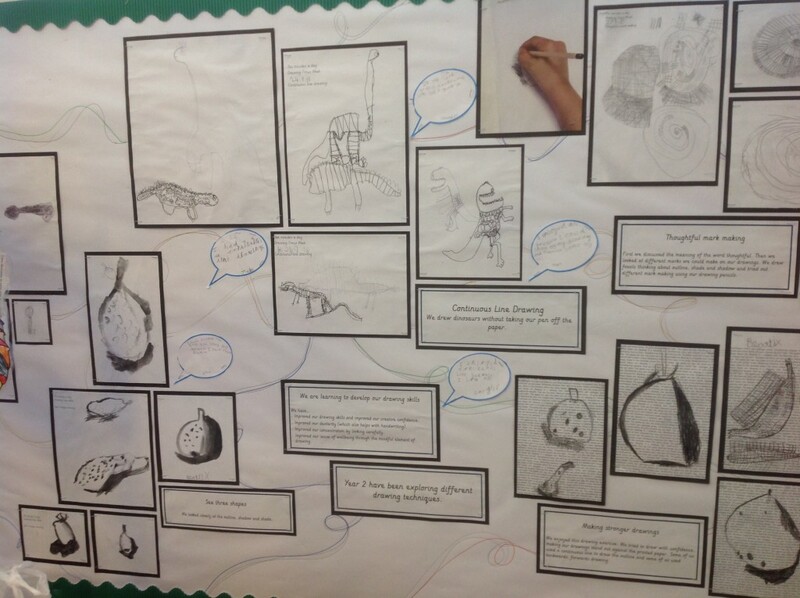 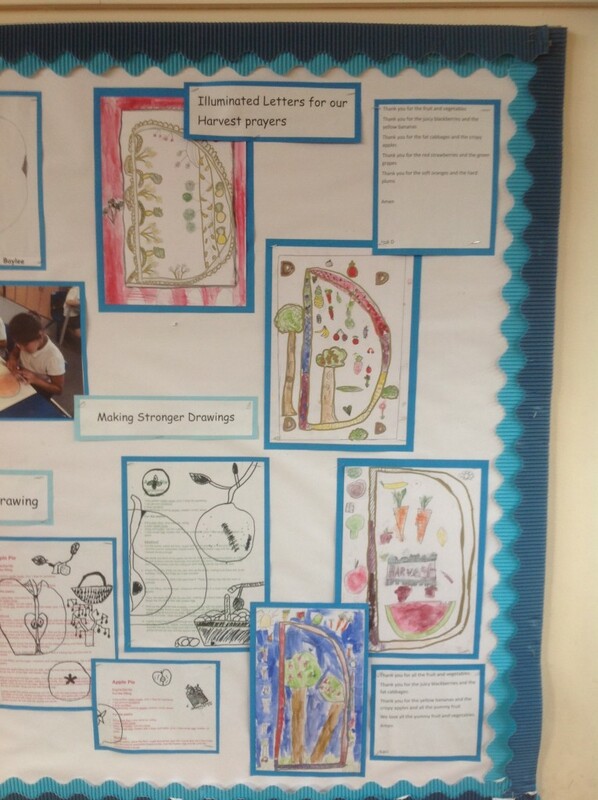 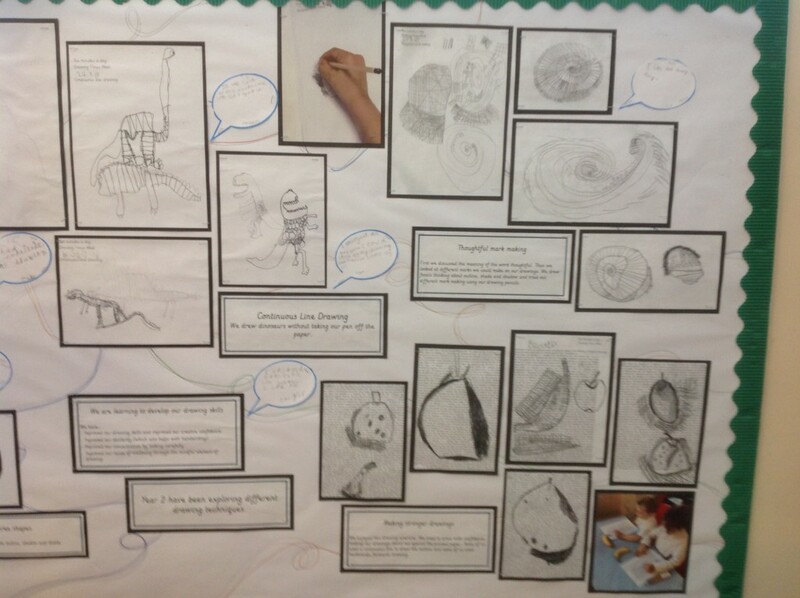 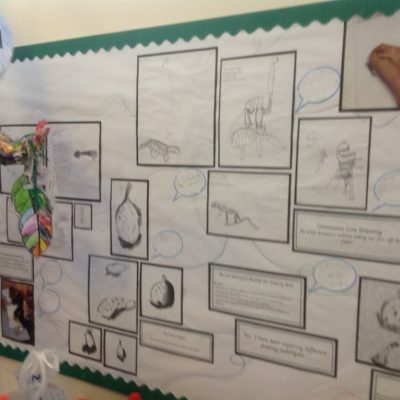 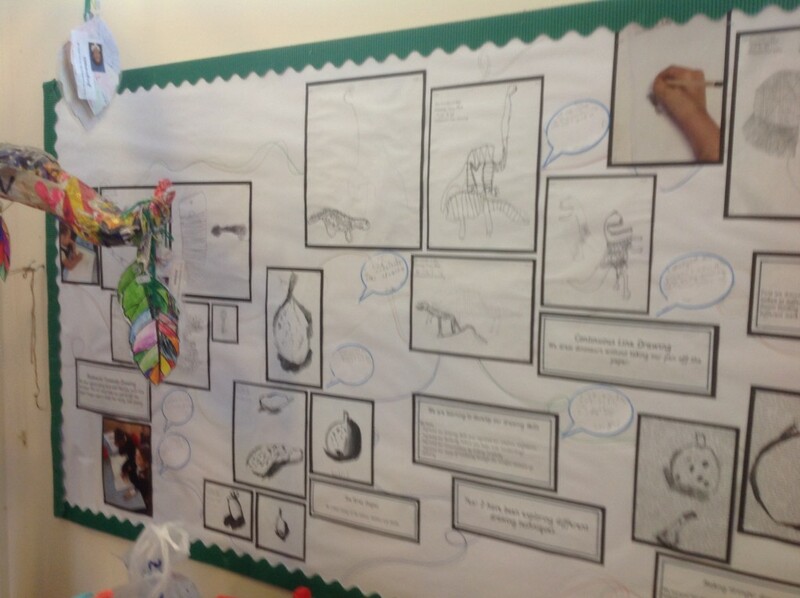 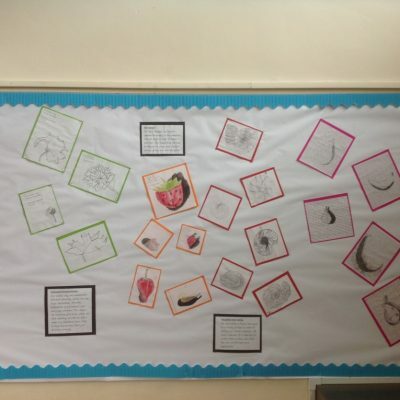 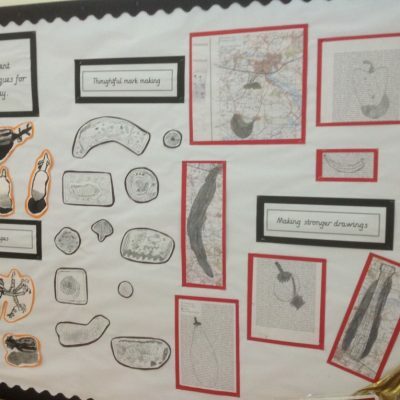 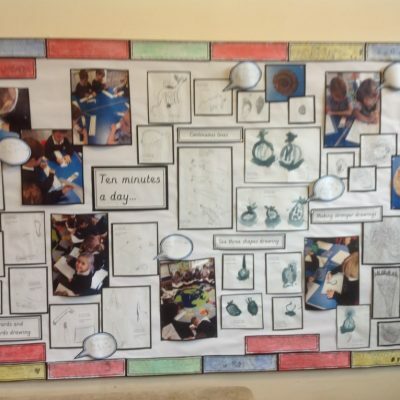 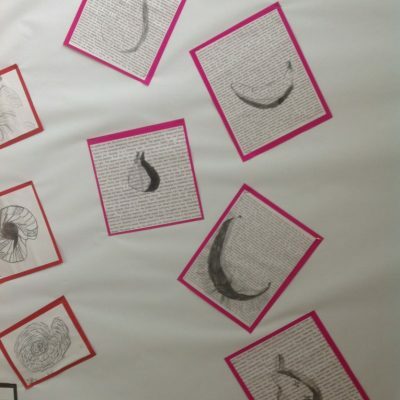 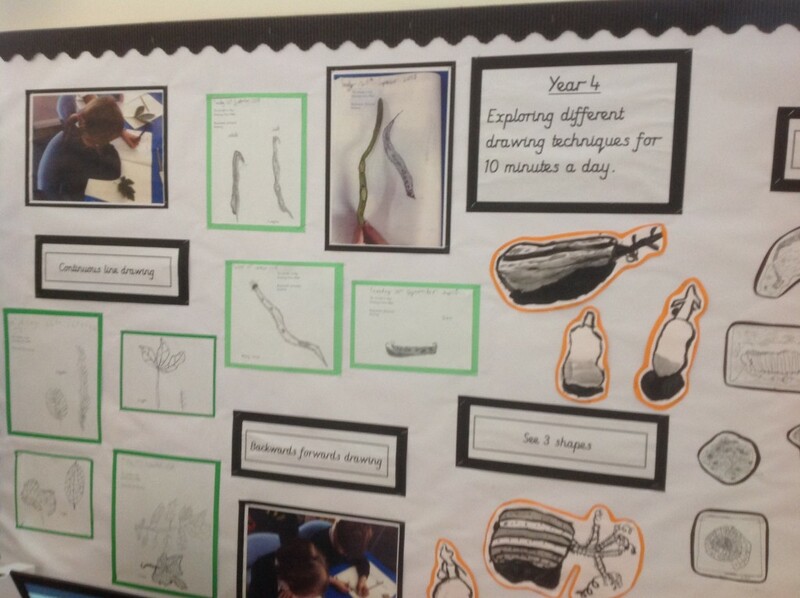 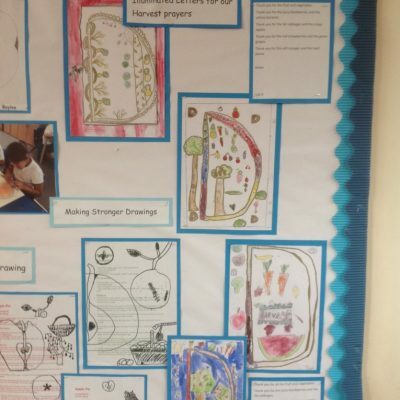 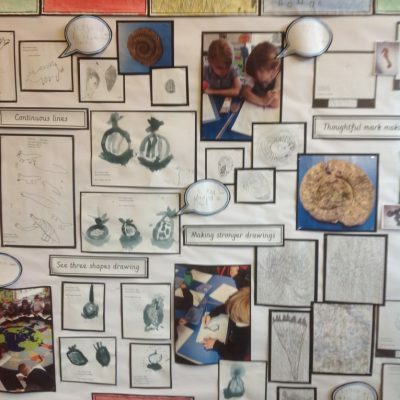 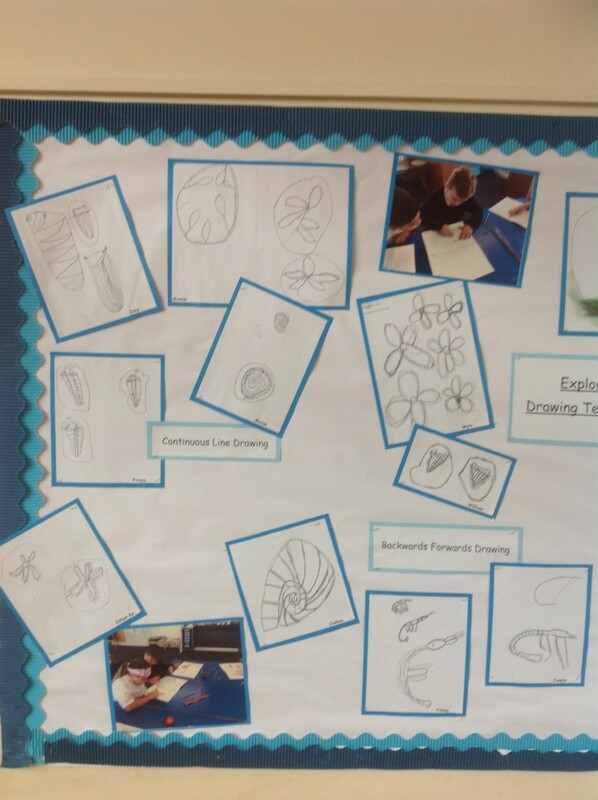 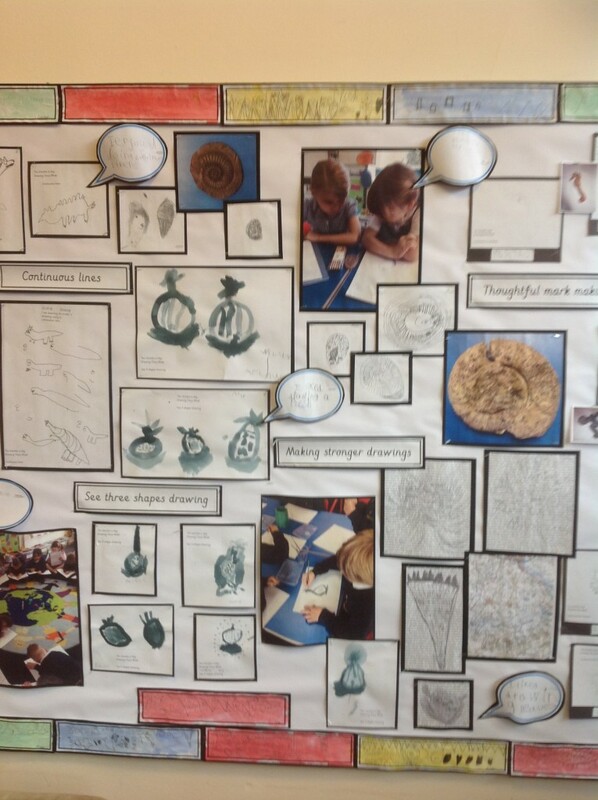 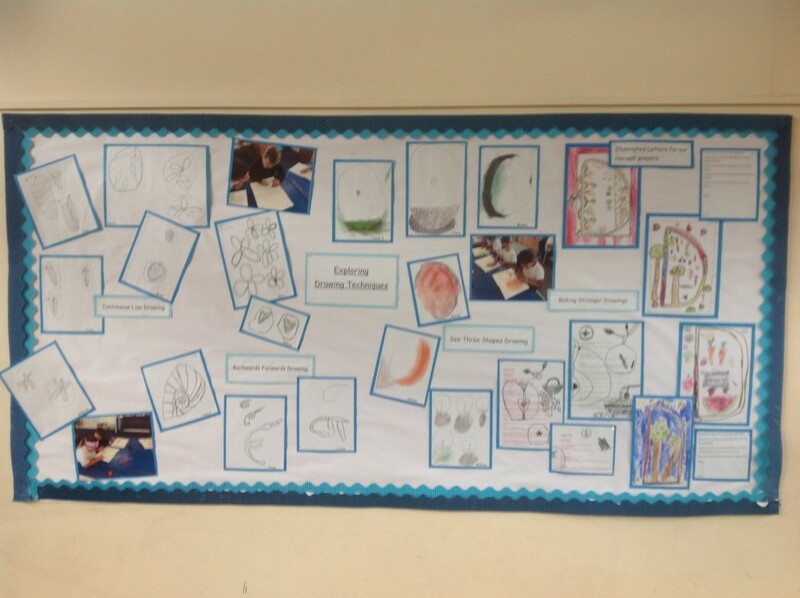 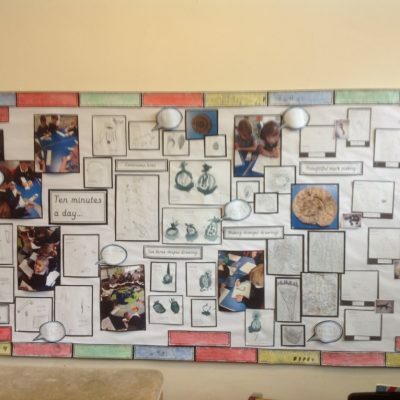 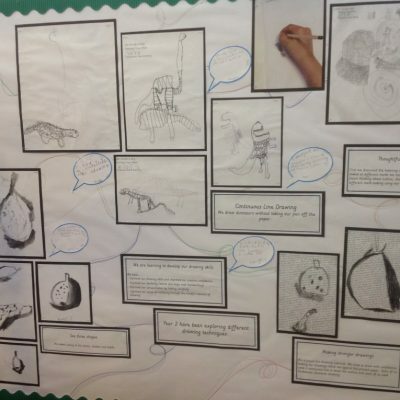 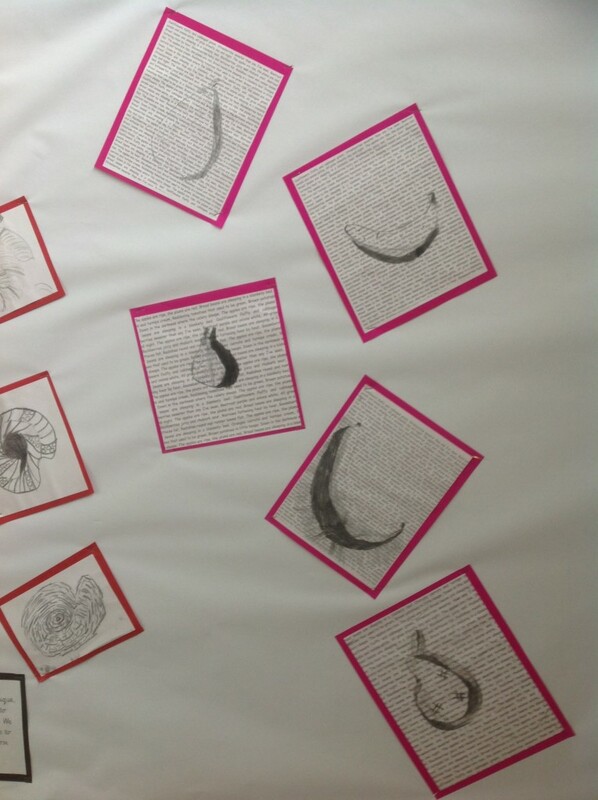 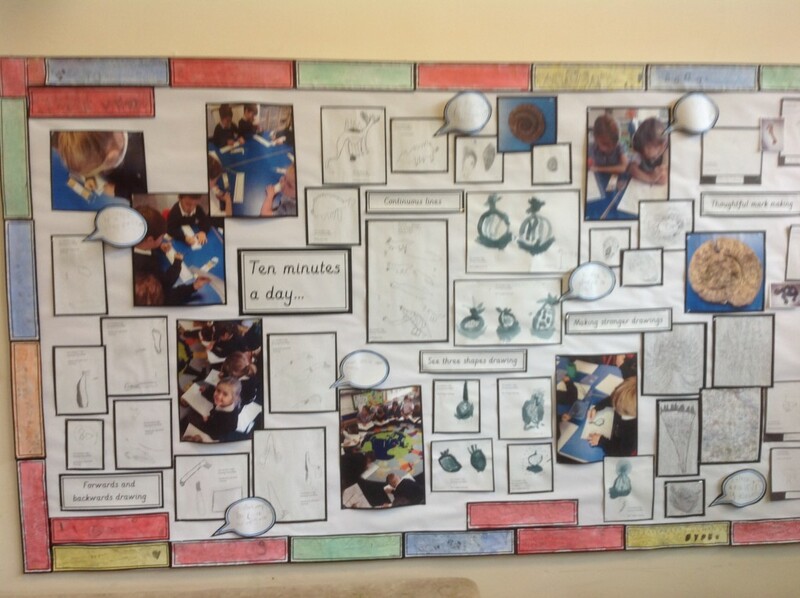 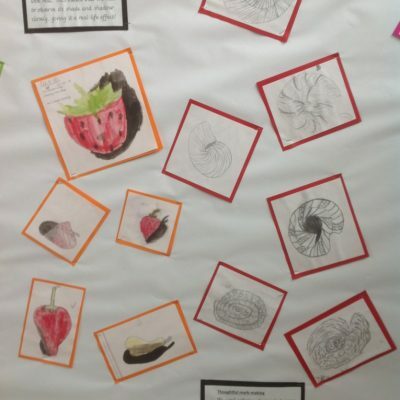 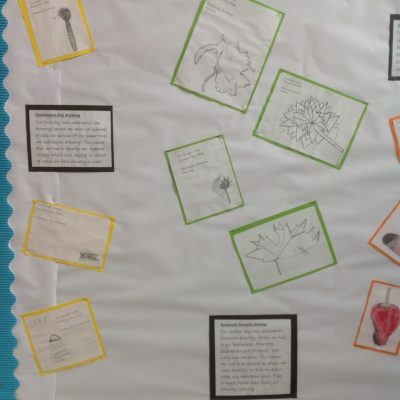 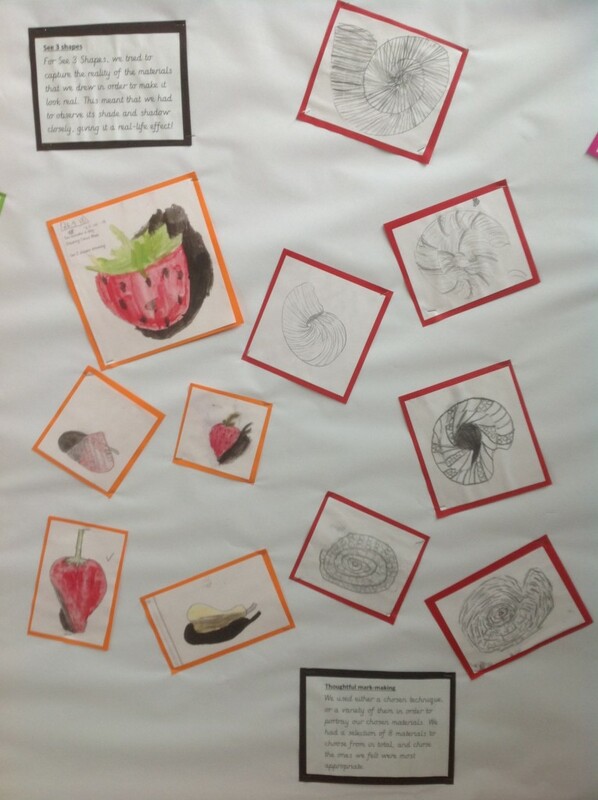 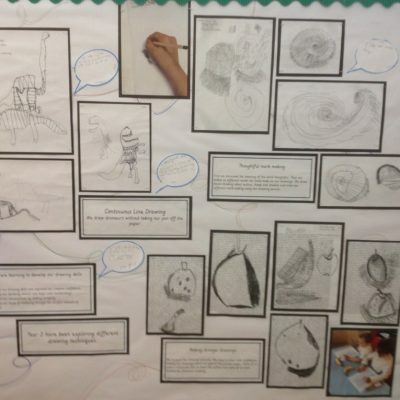 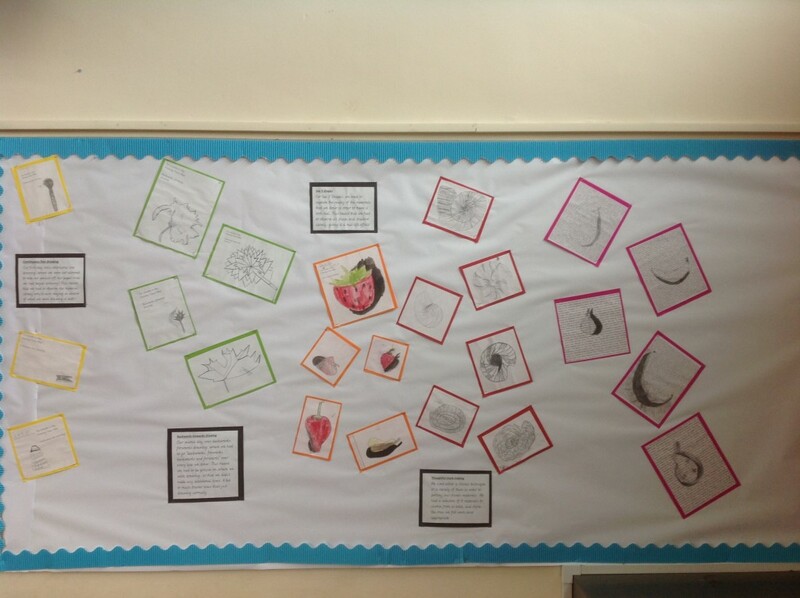 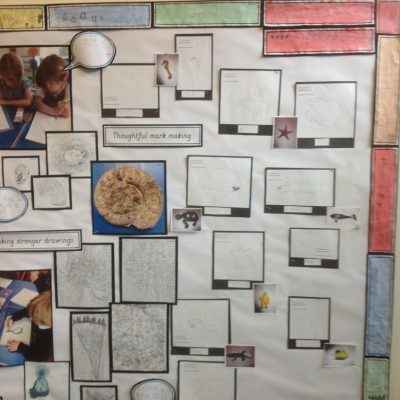 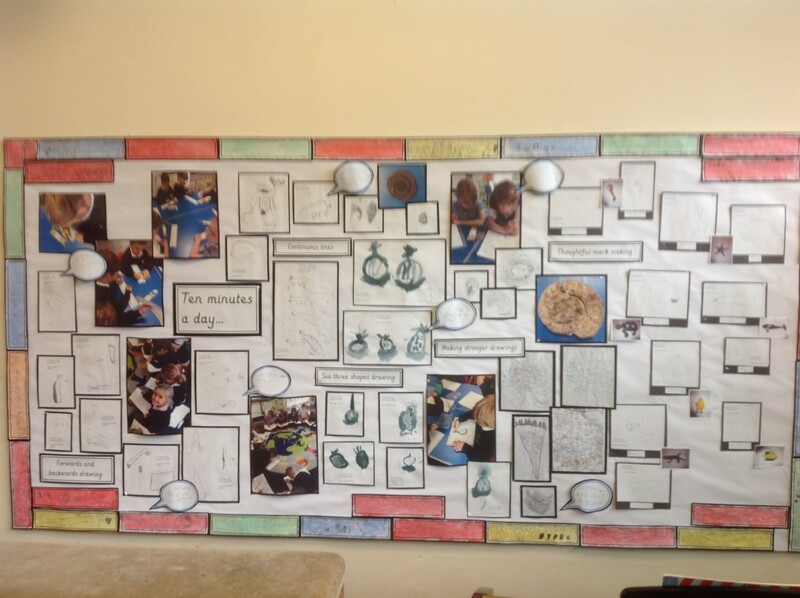 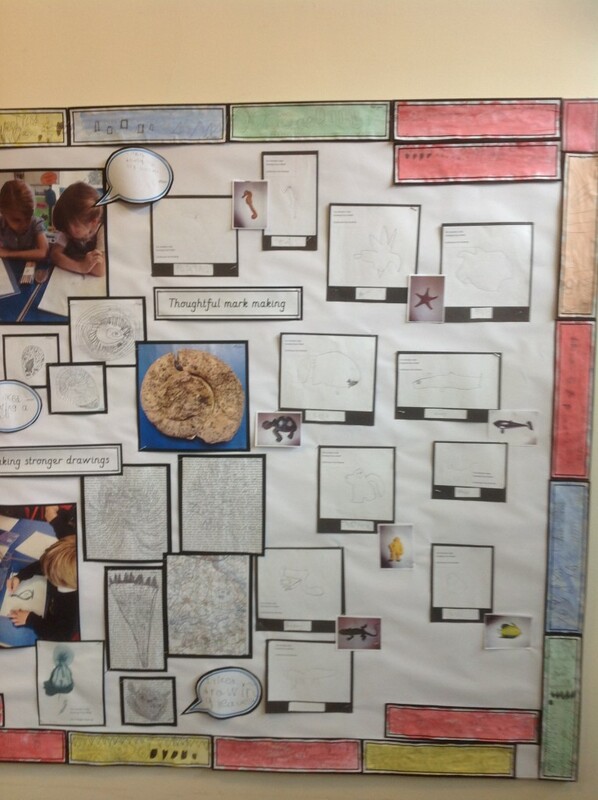 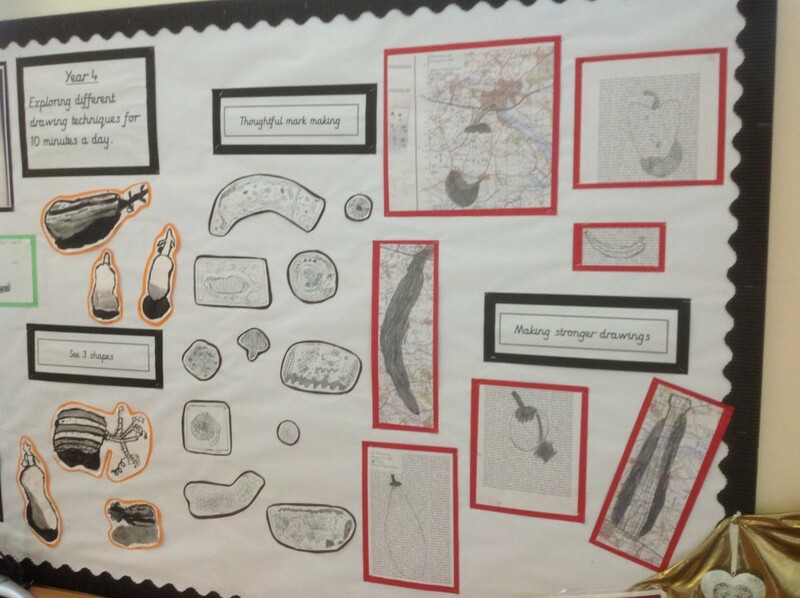 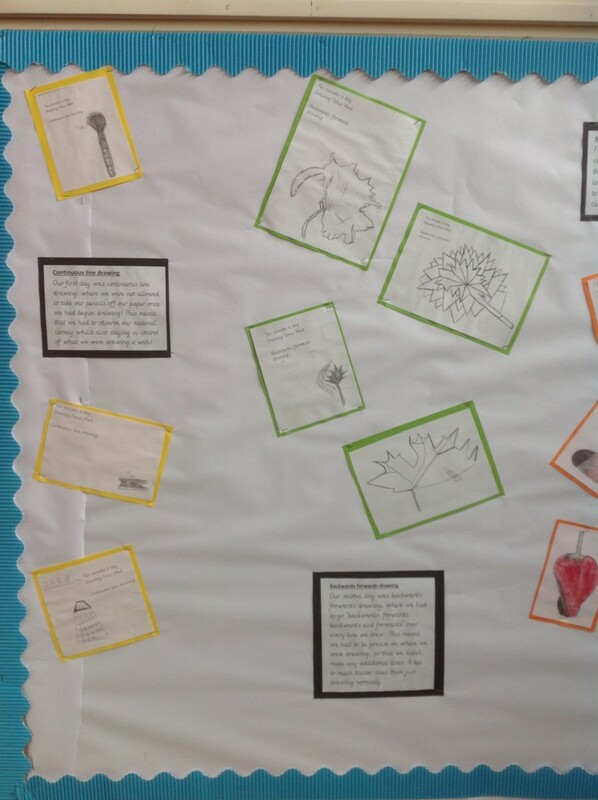 Examples of the children’s work- displayed in the school hall- below so please take a look and talk to your child about the different drawing techniques they have tried out.